Let Ambassador Guides accompany you for the week or meet you on a designated day(s) of your week for our fishing adventure. We provide your fishing boat and equipment. 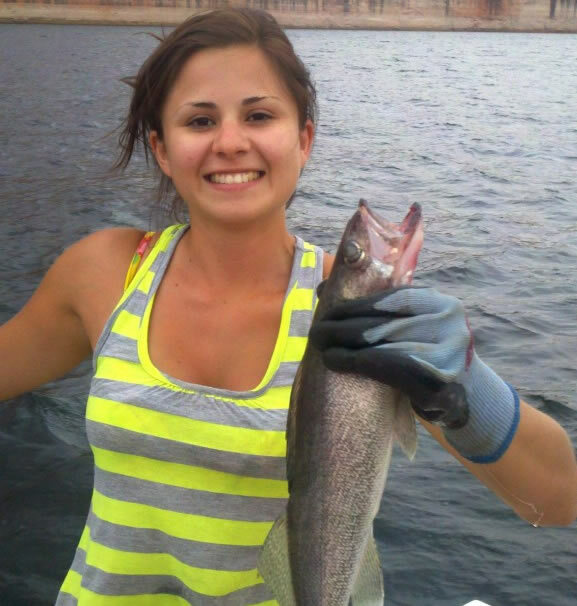 We can meet you at your houseboat to plan your fishing excursion. 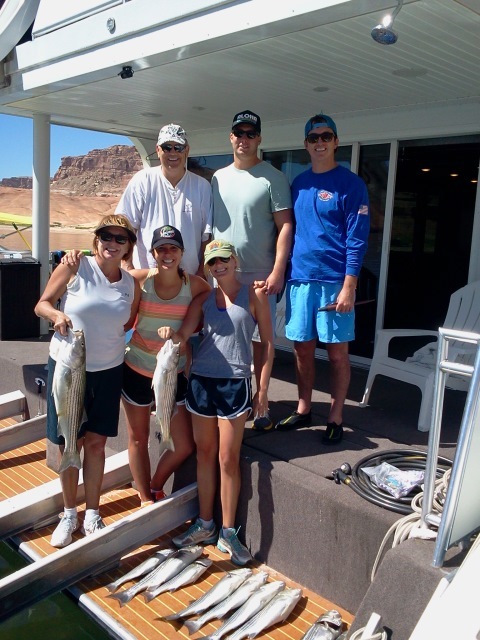 We will recommend the best sightseeing and fishing opportunities for your continued stay on Lake Powell. We recommend that you coordinate your Houseboat and Guided Fishing Trip with Ambassador Guides in advance. Rates for fishing vary due to destination of Houseboat. Please call for recommendations and pricing for your fishing trip. Contact us at 928-606-5829 for information or help in planning your vacation. For houseboat rentals, we recommend Lake Powell Resorts, which is 5 Star Rated in service, quality, boats and customer satisfaction. You can arrange for your Houseboat through Lake Powell Resorts. Lake Powell Resorts also known as Wahweap Marina offer a wide selection of Houseboats and Rental Fishing boats for your stay at Lake Powell. We now have 24 hour/day rates on extended houseboat or camping trips. Our fees are $500 per day plus food and lodging, fuel & bait. This includes Charter Captain licensed with USCG and AZ Game & fish, fishing boat, all tackle for the trip up to 14 days with a 2 day minimum. Call for more details. Note: If Guide/Guides need to have their own spike camp away from Houseboat for your privacy that will need to be clarified with booking.